Large, south-west facing, one terraced plot for sale in Javea. Just an 8 minute drive from the Arenal´s sandy beach and promenade or a 5 minute drive to Javea´s historic old town is this enclosed plot ready to be built on. Very sought out residential neighbourhood, near to amenities, and great open views to the Montgo mountain and sunsets. Spacious one bed apartment for sale walking distance to the Arenal Beach. This bright apartment is just a few steps away from the popular sandy beach and all amenities. The property consists of one large bedroom with its own en suite bathroom featuring a walking wardrobe all with direct access to the ample outside terrace. Further more you have the kitchen and living room that both also open onto a large ample terrace. In the price you also have a large storage room with underground parking space. This property would make a great investment property. Apartment in Javea for sale in the old town area, very quiet and a very good location. The apartment is distributed all in one floor, he has 4 spacious bedrooms, 2 bathrooms, kitchen with Gallery and a large living room with exit to the terrace. From the terrace you can see the sea and Cala Blanca area. The apartment has 2 parking spaces included in the price. 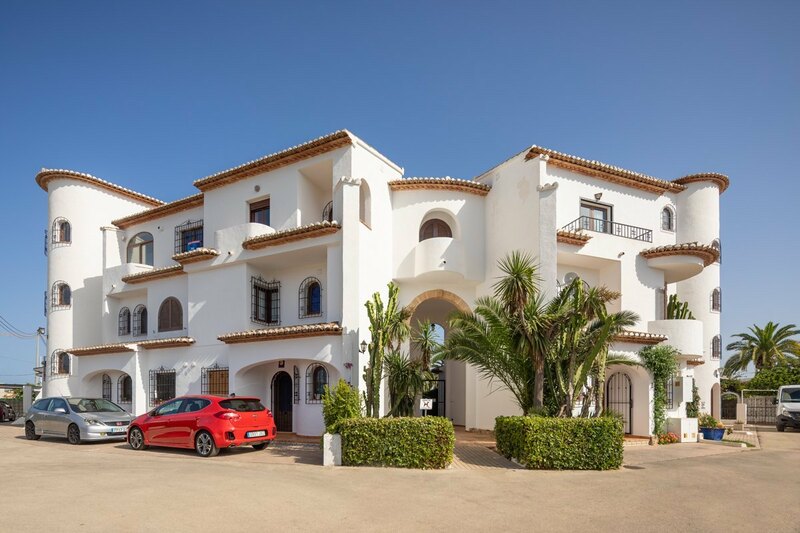 The location and size of this apartment make it an interesting buy for anyone wishing to buy in Javea - regardless of if you are wishing to live in the town all year-round, or use the property as a holiday home. It is only a few minutes walk from the Arenal Beach and all services. This comfortable apartment comprises 2 bedrooms, 2 bathrooms, a living-dining room, a very functional kitchen, a handy utility area and a nice terrace which is ideal for relaxing with a drink and a view of the sea. The complex has a 2 good-sized communal swimming pools, a well-kept garden and fully equipped gym. Great plot for sale very close to the beach of javea and walking distance to restaurants bars and shops. Located in the fantastic canal area of Javea, with all services around and a minute far from the Arenal. This spacious two bedroom apartment has a spacious living room and a complet bathroom. The access to the terrace it is possible from the living room and from the master bedroom. The kitchen is fully equipped, gives way to a back terrace also. The apartment includes a large indoor parking with an easy access. The complex has gardens, fountains and concierge but Community expenditure are incredibly low. It is also a great investment since you easily rent for the whole year or holiday periods. Contact us for View as soon as possible. Apartment for sale in Javea close to all amenities in great location. 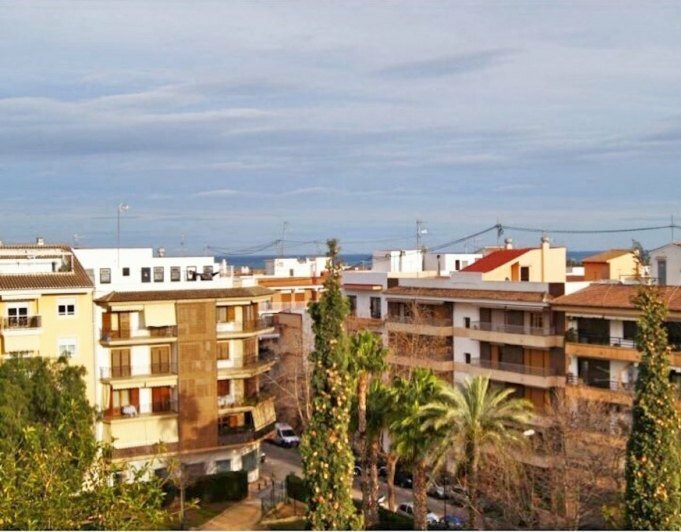 This wonderful 2 bedroom apartment is located in a very popular urbinisation close to all amenities and walking distance to the beach. The apartment features one double bedroom with separate access to the covered terrace overlooking the community pool and garden area. Furthermore there is a single bedroom, a full bathroom with bathtub, a large lounge with dining area a fully equipped kitchen and a guest toilet. The covered terrace can also be accessed through the lounge and the kitchen. The entire prroperty feature pre installed air conditioning and communual undergound parking with a space included in the property for two vehicles. This apartment is priced to sell and is also a great investment for holiday lettings. A two bedroom luxury apartment. Only a short walk from the beach and offered with secure underground parking space and storage area. Complete installation of AACC with heat pump and split type hot cold units functioning independently in each room. Italian serpeggiante marble flooring, double glazing climalit type, automatic video entry-phone system. Beautiful open views to the Montgo. Apartment for sale in Javea near Arenal. 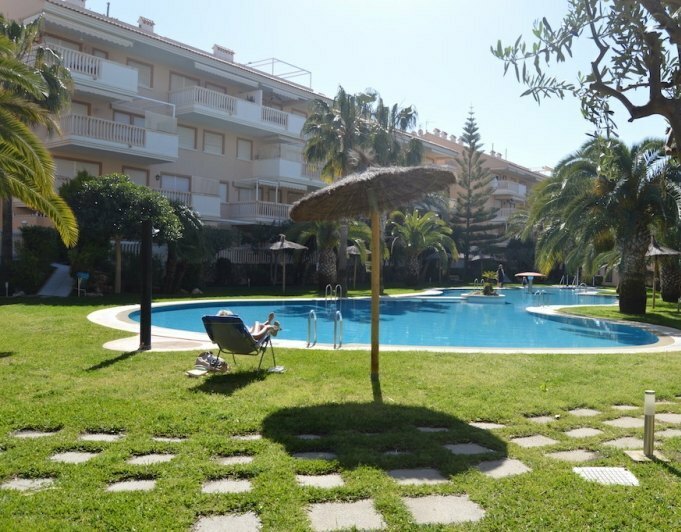 The apartment is located in one of the best area of Javea, the complex has a spacious garden, swimming pool, paddle courts, gym and sauna area. The apartment in one level consists of 2 bedrooms and 2 bathrooms, spacious living room and kitchenette. The price include a parking place and storage room. Ideal to enjoy the summer in Javea or as an investment. Apartment renovated and designed to be useful for summer housing or to be used throughout the year. Distributed in spacious living room, fully equipped kitchen, bathroom with Jacuzzi, two double bedrooms and a spacious single bedroom. On the reforbish has been used the most hight qualities, nice tiled and in addition to the double glazing windows, have been installed practic shutters. The House has air conditioning cold and heat. The complex enjoys communal pool and tennis courts and also a parking place is included in the price. Don't miss this super apartment. This plot is 1207m2, with open views of the Montgo, the mountains and the sea views. Located in a popular residential area of Javea, with south facing position. 3000m2 plot all on a flat terrain, cleared of trees and just a short walk to Javea's sandy Arenal Beach with all amenities, restaurants, bars and boutiques. Two large supermarkets are also within 1 km. There is a large, NEW, 100m2 hangar on the plot which was used to store boats and cars and also a little outhouse. Very well located apartment 5 minutes from the Arenal sandy beach and all amenities of Javea. Modern ground floor accommodation with 2 bedrooms, 2 bathrooms, hot and cold a/c, gas underfloor central heating. large storeroom, pivate garden and communal pool. Owners also have exclusive access to sunroof with BBQ and Jacuzzi. 2 bedroom apartment situated close to the Arenal beach, supermarkets and amenities. The property is distributed over 2 levels comprising lounge-diner with fireplace and hot and cold air-conditioning, glazed in covered terrace, open terrace with access to the residents' pool, guest cloakroom and kitchen on the ground floor. Two double bedrooms with built in wardrobes and full bathroom on the top floor. Both bedrooms have terraces, one with views of the pool and other with views to the Montgo. Residents' pool and garden. Parking space. 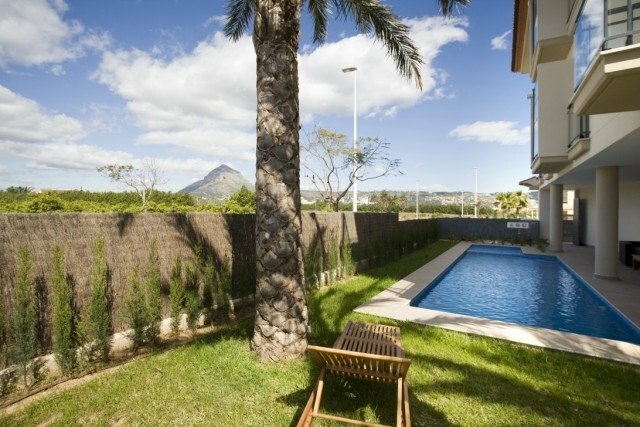 Located in one of the best and quiet area of Javea arenal, along the canal and one minute walk of The arenal. With all the services around. The apartment is distributed in dining room, kitchen, full bathroom courtesy, bedroom and master bedroom with bathroom en-suite. It also has a fantastic terrace from which to enjoy a fantastic and relaxing views of the canal. In addition the price includes parking . The complex has a great common areas, gardens with a large swimming pool, paddle tennis court and a fully equipped gym. Contact us to arrange a visit of this apartment.